Bell peppers are in-season, and they’re so versatile that you can use them for any meal with these healthy pepper recipes. First up was a tasty twist on a classic, Philly Cheesesteak Stuffed Peppers. These Easy Oven Fajitas are an easy and affordable take on your restaurant favorite. This Cauliflower Roasted Red Pepper Soup is a healthy and delicious lunch or dinner option. Try making this Easy Pepper Steak at home instead of picking up your usual Chinese takeout. 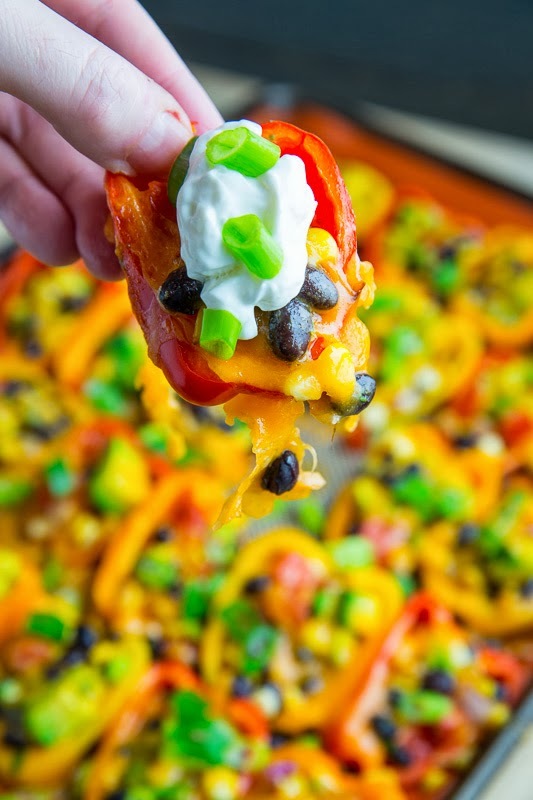 Make homemade Mini Pepper Nachos for a healthy take on the bar-menu classic. Steak Fajita Stuffed Baked Potatoes with Avocado Chipotle Crema are a delicious all-in-one meal. These Homemade Focaccia and Roasted Red Pepper and Arugula Sandwiches are perfect for this week’s lunches.